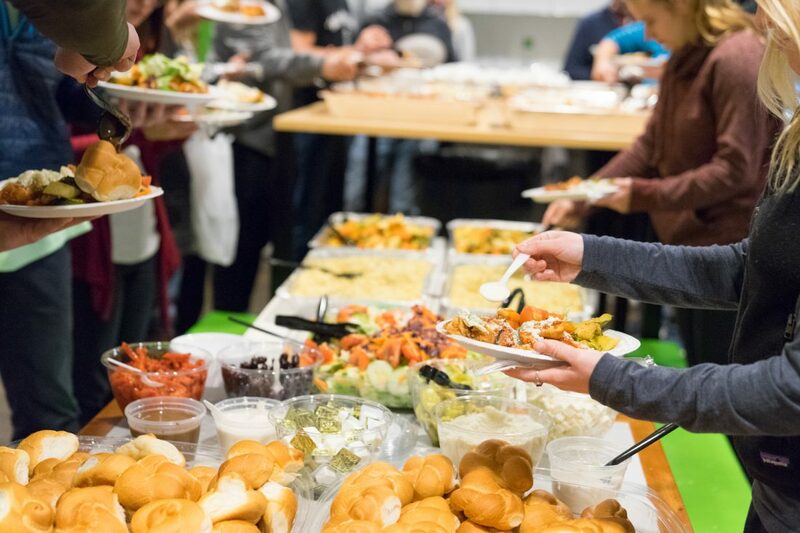 EzCater has about 665 employees, Mallett says, and plans to add 300 more in the next year across its offices in Boston; Denver; Vancouver, Canada; and Paris, France. Sales professionals and software programmers are in high demand at the company. Last month, it acquired Monkey Group, a Vancouver-based catering technology competitor, for an undisclosed price. And last July, ezCater bought GoCater, a Paris-based online catering platform. Mallett says she expects ezCater to buy at least one more company this year, likely in Europe. Dragging restaurants into the 21st century has been high on investors’ lists, if investment dollars are any measure. On Monday, restaurant technology company Toast, also based in Boston, raised $250 million in a Series E funding round led by TCV and Tiger Global Management. And like ezCater, Toast also closed another nine-figure funding round in 2018. Despite some dark clouds gathering on the economic horizon, Mallett is none too concerned with the demand prospects for catered spreads of croissants and Danish at business meetings. Other investors joined in the latest funding round, including Light Street Capital and previous ezCater backers Wellington Management Company, ICONIQ Capital, Insight Venture Partners, Quadrille Capital, and others.